Two Democrats and 14 Republicans will chair the upper chamber's committees. *This story has been updated with comments from state Sen. Kel Seliger, R-Amarillo. The shifts at the top of Senate committees, announced by the lieutenant governor Friday, were few but noticeable — with moving parts in the Republican Party making way for some senators to chief committees for the first time, a thorough snub that may deepen an existing rift and little headway for Democrats despite electoral victories in November. Lt. Gov. Dan Patrick named 14 Republicans and two Democrats chairs of the Senate’s 16 committees, meaning no gains for the chamber’s minority party despite an increase in the number of committees. Houston Democrat John Whitmire, the Senate’s longest-serving member, continues to chair the Criminal Justice Committee, and Eddie Lucio, a moderate Democrat of Brownsville, continues to helm the Intergovernmental Relations Committee. All but five of the Senate’s 19 Republicans are chairmen; of the five, three are freshman and one had yielded his prominent position in the wake of an inconclusive sexual harassment investigation. Perhaps the most notable shakeup came for state Sen. Kel Seliger, an Amarillo Republican who has sometimes found himself at odds with the lieutenant governor over his more moderate views. Seliger lost his longtime position as chair on the Senate Higher Education Committee and even his membership on the committee; he was also taken off the public education committee and the powerful finance committee. 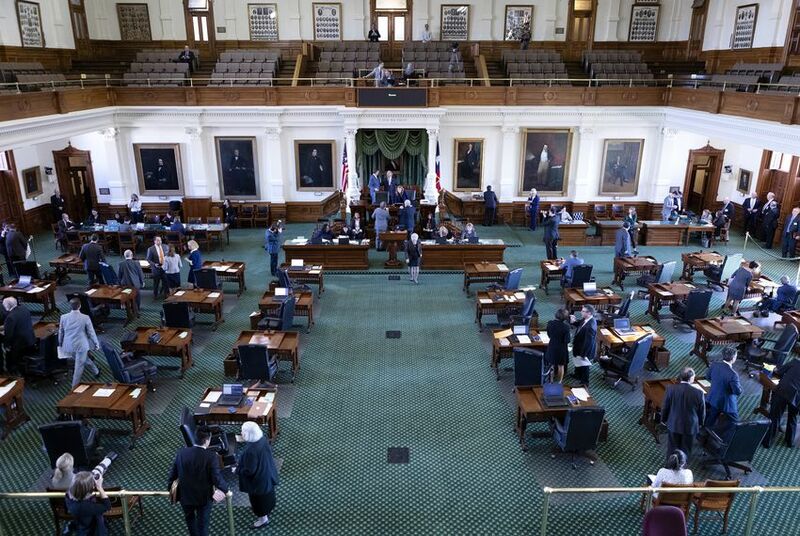 State Sen. Brandon Creighton, a Conroe Republican, will take over higher education; Seliger was named chair of the Senate’s new Agriculture Committee, a smaller committee split off from the Agriculture, Water & Rural Affairs Committee. Seliger and Patrick have had squabbles in the past, if they remained relatively low-temperature. Patrick stayed quiet on Seliger’s re-election bid, but his top political consultant — Houston-based Allen Blakemore — ran the campaign of Victor Leal, who unsuccessfully challenged Seliger in the Republican primary. And Seliger was the only Republican senator who didn’t endorse Patrick’s re-election campaign, saying he was focused on his own race. In response to his comments to the Tribune, a senior advisor for Patrick pointed to the appointment of Sen. Charles Perry, R-Lubbock, to the Finance Committee as evidence that "West Texas is important" to the lieutenant governor. State Sen. Paul Bettencourt, the Houston Republican and tax consultant, was named chair of the Senate’s new five-member committee on property taxes — a plum position, and little surprise, given Bettencourt’s leadership on tax proposals in the past. “Texans have made it clear that they will not stand for anything less than meaningful property tax reform and relief this legislative session,” Bettencourt said in a statement. “The Senate Committee on Property Tax will be getting to work right away!" Of the Senate’s six incoming freshmen, two Republicans won the highest posts: McKinney Republican Angela Paxton was named vice chair of the property tax committee, which will shepherd this session’s priority legislation; and Pat Fallon, a Prosper Republican who previously served in the House, was named vice chair of the Senate Administration Committee. Beverly Powell, a Burleson Democrat and a longtime school board trustee, won a coveted spot on the public education committee — another subgroup that is likely to be in the spotlight this session. Sen. Larry Taylor kept his spot as chair of that committee. Lois Kolkhorst, the Brenham Republican who last session chaired the Senate Administration Committee and carried one of the lieutenant governor’s top priorities, was appointed to lead the powerful Health & Human Services Committee. The former committee chair, Georgetown Republican Charles Schwertner, gave up his position after a University of Texas at Austin Title IX investigation found that “evidence does not support a finding” that he had sent lewd texts to a graduate student. Sen. Jane Nelson, the upper chamber’s veteran budget-writer, kept her post at the top of the Senate Finance Committee — as foreshadowed by a playful exchange on the floor earlier this week. "If committee assignments come out, I would like to announce that — if I were chair — I would announce that Finance Committee will start working on Tuesday," Nelson told the chamber as senators adjourned on Wednesday for the long weekend. "I think you will be there, I feel pretty confident of that, with all your work on the budget," Patrick responded. "And I think you'll be ready to go on Tuesday." Disclosure: Sherry Sylvester and the University of Texas at Austin have been financial supporters of The Texas Tribune, a nonprofit, nonpartisan news organization that is funded in part by donations from members, foundations and corporate sponsors. Financial supporters play no role in the Tribune's journalism. Find a complete list of them here.